When it comes to entertaining, having children or in my case a preteen in the house it means constantly looking for those healthy snack options, entertaining & food choices.Serving up healthy, easy to make foods that are quick to prepare & serve up my hungry kid and all her friends is best. I have to admit I have used them as mini food critics when it comes to making appetizers & snacks that I may serve when I entertain.They tend to be picky eaters. When I find those easy, healthy options they love I just have to share how easy they can be to make for everyday or as an appetizer! 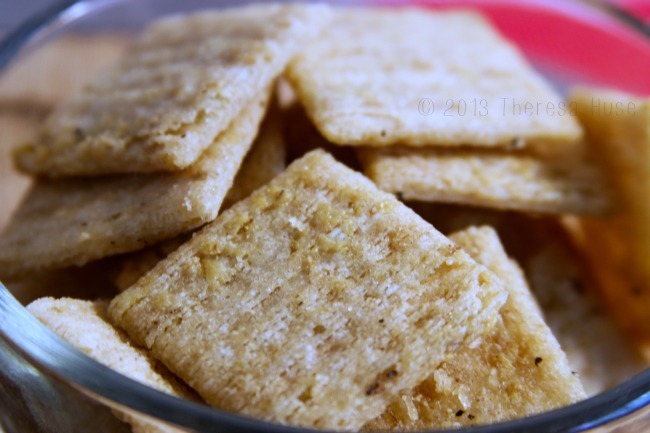 Serving it with Triscuit’s just made it a bit easier with their new flavor options. 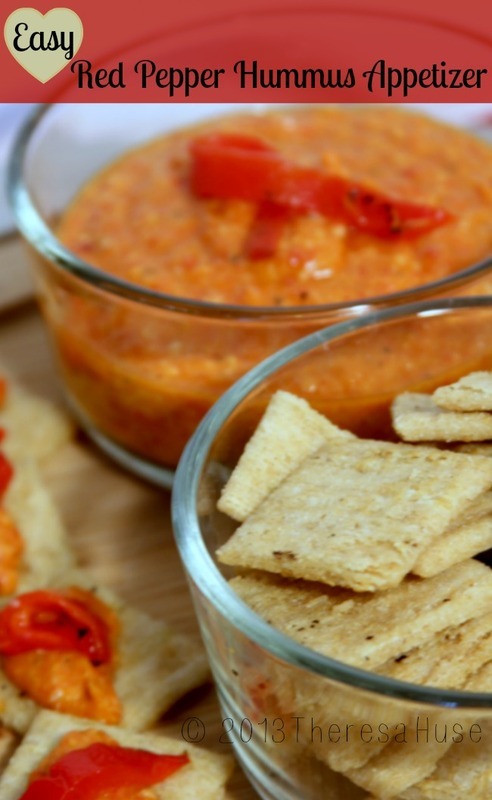 An easy way to get started on the healthy snacking is trying this red bell pepper hummus snack or appetizer recipe then serve with the new Triscuit Flavors! 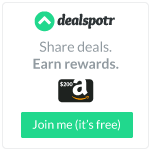 That is just what I did and I am going to share how easy this dip recipe is for your parties or every day snacking needs! 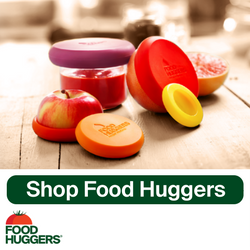 You can top your crackers with a dip & garnish for a party, serve in a bowl for larger crowds & those hungry kids. First I had to decide which crackers to use. I picked Brown Rice, Sea Salt & Black Pepper. For the kids Brown Rice, Baked with Savory Red Beans. You can’t go wrong with that flavor along with a bean dip or topped with melted cheese & mild salsa. Or take your refried beans & add small package of cream cheese & warm it up. 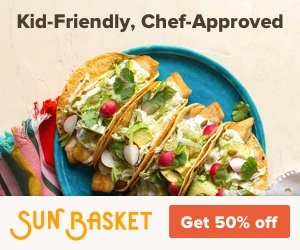 What kid doesn’t like a bean dip right? Now for serving the adults when entertaining I love a good hummus dip & I picked the Brown Rice, Sea Salt & Black Pepper crackers to go with them. Funny thing, the kids ended up liking this just as much! You’d be surprised that a lot of kids enjoy hummus & it is not that difficult to make. Homemade hummus is a Middle Eastern dip. 1/2 jar roasted red peppers (1 cup) or roast 1 whole red bell pepper yourself! since the crackers I purchased had sea salt & pepper I omitted salt & pepper, other wise salt & pepper to taste. Or for less spicy flavor use 1/2 teaspoon paprika omit the cumin & cayenne pepper. Cut, in half, seed & rinse red pepper, broil lightly on each side then let cool & then cut to fit into food processor. or just used jar red peppers ( like I did to make it simple). Add all the ingredients into the food processor & pulse until well blended. Spread on crackers or serve in a bowl garnished with a sliver of red bell pepper & surrounded by your favorite Triscuit Flavors crackers. 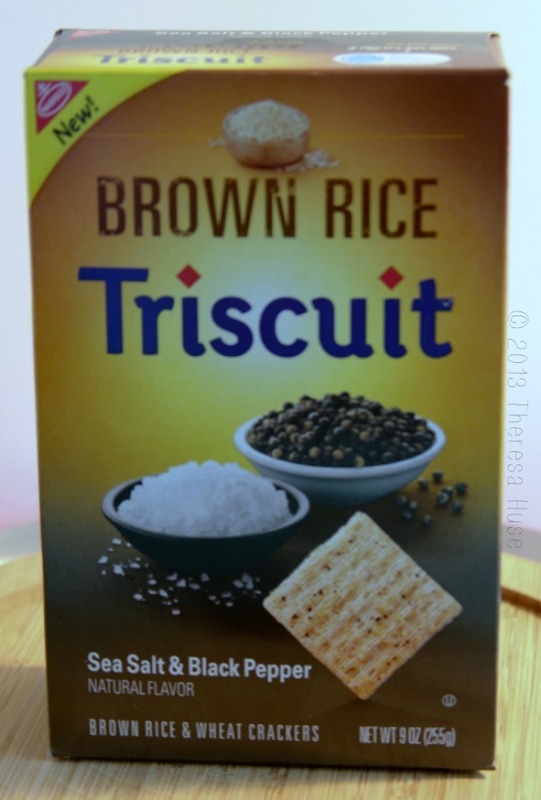 Now what is great about these Brown Rice Triscuits? They are baked with 100% whole grain brown rice and wheat. 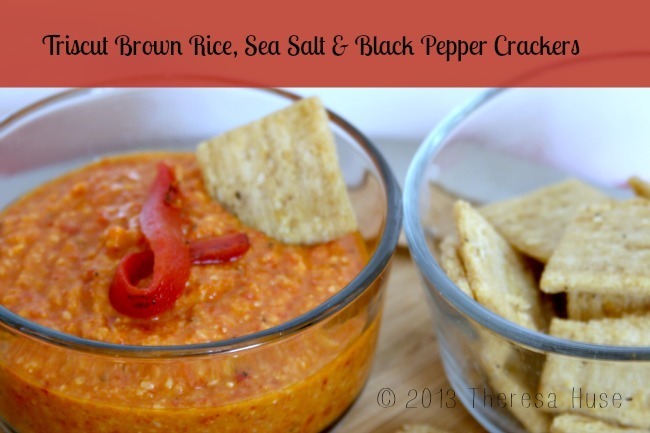 Not only are your kids eating a healthy dip they are eating a healthy cracker! Now did someone say pool party? Girls night in party? Block party? This is the perfect healthy appetizer as hummus dip can be made a few days in advance & stored in a sealed container ready for your summer entertaining or anytime appetizers. Just add your favorite New Triscuit Flavors & your ready to make a splash! How do you reinvent classic meals and snacks?